GENERON has recently completed, tested and shipped a complete system to the Antipinsky Refinery Co. for use in Russia. 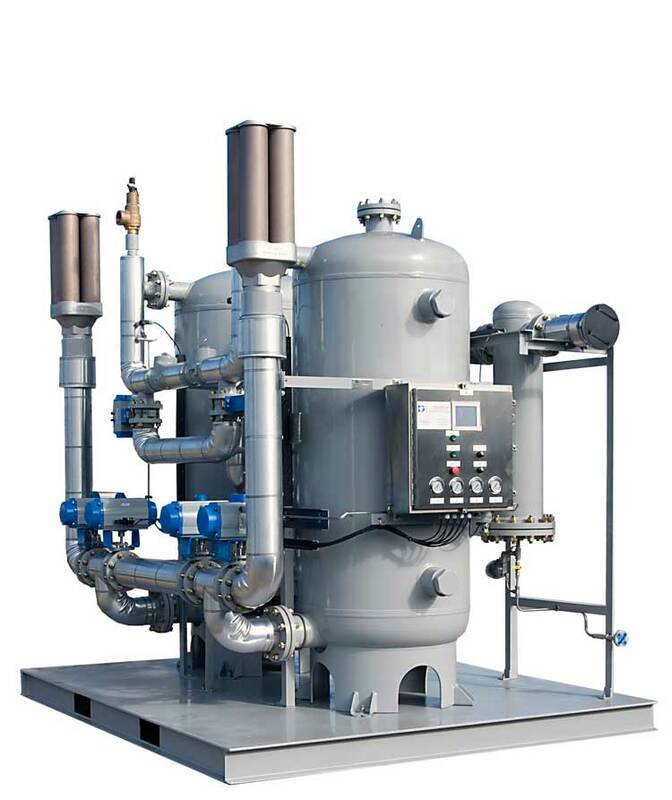 This system included Primary air compression, Instrument Air Dryers and Nitrogen Generator Pressure Swings Adsorption Systems complete with receiver vessels manufactured by Houston Vessel Manufacturing. The overall system included 3 Primary Air Compressors and Refrigerated Dryers, 3 ea Twin Tower Desiccant Dryers, each with a capacity of 2,000 Nm3/hr of -650 C ADP, and 3 ea. Twin Tower Nitrogen Generators, each with a capacity of 1,120 NM3/hr of 99.9% Nitrogen Purity. Included were 3 ea 5,000 Gal. Air Receiver Tanks, 3 ea 2,560 Gal Nitrogen Receiver Tanks and 3 ea. 2,562 Gal Instrument Air Receiver Tanks. 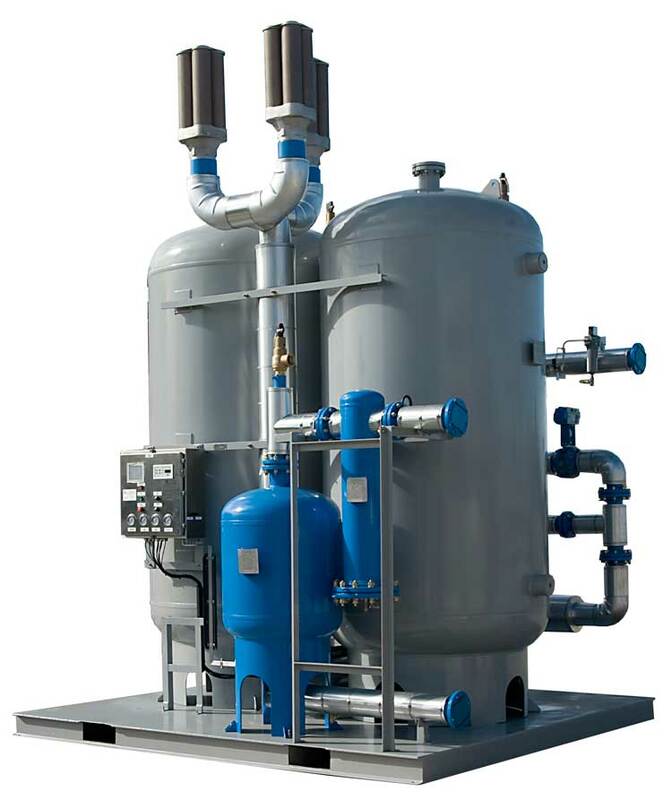 Both the Twin Tower Desiccant Air Dryers and the Nitrogen PSA Generators are of GENERON proprietary design. All units were successfully acceptance tested as witnessed by our client at our manufacturing facility in Houston Texas.